Lab-created chickens might be the future of birds. Genetically modifying (GM) animals to ensure the survival of a species is not a new concept. 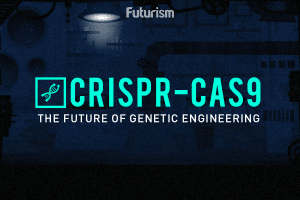 Last year, a biotech company announced their plans to edit certain genes in cattle that would enable them to produce plasma. The plasma would be used in humans to fight disease, which could potentially prevent outbreaks. Now, a group of researchers wants to genetically modify chicks to support the survival of several different subspecies. These GM chicks would act as surrogates, laying an assortment of eggs that contain rare varieties of chicken species from all over the world. The team responsible for this feat includes scientists working at the University of Edinburgh’s Roslin Institute. They’ve stated that in order for this all to work, the GM chicks have to be sterilized, meaning they will never be able to hatch eggs that are biologically their own. Sterilization in these chicks occurs through the deletion of a gene called DDX4, which is necessary to produce primordial follicles (the very beginnings of fetus formation). Their findings are published in the journal Development. In 2016, a group of sterile GM chicks hatched at the Roslin Institute, making this the first time anyone has ever genetically engineered birds in Europe. In their next step, they will transplant follicles of the rare chicken species into the surrogate before they are even born. The team has concluded that their ultimate goal is to create a complete gene bank of rare chicken breeds. One important reason for this involves the diversity that they’d bring into the gene pool. This genetic variation could potentially lead scientists to uncover a variant that is resistant to new forms of avian flu. “It’s not what we’re protecting in the breeds that’s important, it’s what those breeds represent in their genes,” stated Richard Broad, a field officer for the Rare Breeds Survival Trust. This gene bank, dubbed the ‘Frozen Aviary,’ will contain the frozen primordial follicles of rare birds that are readily available and could easily be inseminated into GM eggs. With this gene bank, scientists could bring extinct subspecies back to life, or even provide insurance for the survival of commercial breeds that are so quickly consumed by humans. “We’re interested in chicken because that is the animal which is the most consumed animal on the planet and we want to protect all the different breeds of chickens that we have,” said Michael McGrew, an author of the study. The Frozen Aviary currently contains the preserved genetic material of 25 different breeds and over 500 samples from individual chickens. The team hopes to expand their work in the future to involve different breeds of ducks, geese, quail, and possibly the endangered golden eagle. Unfortunately, their GM chicks cannot lay eggs containing a completely different species, so they would all have to find their own suitable surrogates. However, the basic principles of this study could, theoretically, be used with all of these different species.